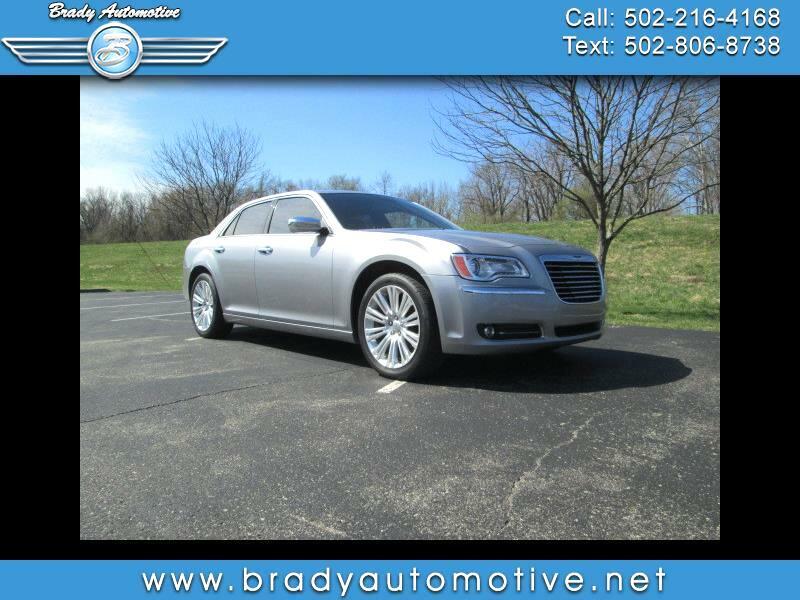 +++NICE & LOADED!+++ 2011 Chrysler 300 Limited. 3.6L with 91,859 miles. Loaded with power windows, locks, mirrors and seats, heated and cooled seats, navigation, backup camera, Alpine stereo, good tires. This car has it all and in excellent condition with great miles. Super clean and a great ride. You'll love driving this one! Contact Chris to schedule a test drive or stop in and see us today. Thank you! Please visit WWW.BRADYAUTOMOTIVE.NET to see more pictures of this vehicle. Call Chris at 502-447-6000 or 502-216-4168 for more information or to schedule an appointment for a test drive. We are a family owned and operated business where we strive to make customers have the best experience possible. We are not only a used car dealership but we are also a full service shop catering to any and all needs of our customers. All of our vehicles for sale are fully serviced as well. We like to treat all our customers like we would want to be treated, fair, honest and like part of the family unlike the bigger dealerships. We offer financing with a variety of banks and credit unions to help try and get your approved with competitive rates and payments that suit your needs.